Nose: Ouhh this is a far livelier, more youthful Jura than we’re used to. The peat certainly isn’t pulling any punches, but is wrapped in tart, fruity aromas. Underneath the prominent barley profile await scents of grapes and forest fruits. Although Prophecy’s nose is decidedly crisp, there’s still that slightly musty Jura smell that I’ve come to appreciate over the years. Certainly lots happening on the nose, but I’m not yet convinced it’s all good news. Can these aromas bind together into a great whisky? Palate: It only takes one sip to answer that question with a resounding “yes”. 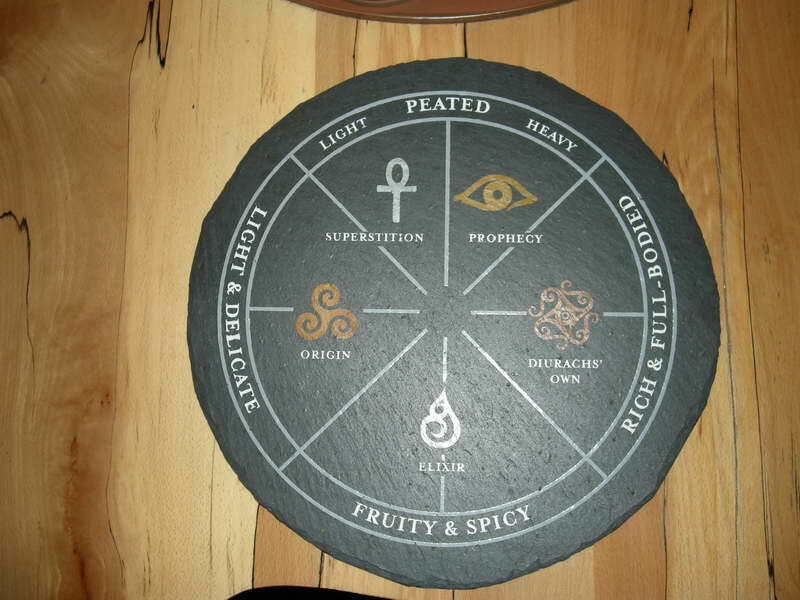 Prophecy is beautifully balanced, combining that boisterous spirit of a young peated whisky with a wealth of complexity. I suspect there are some sherry casks thrown into the mix, as flavours of raisins and hazelnut mingle with a subtle hint of nutmeg. The peat is never far off, accompanying briny notes of smoked kippers and seaweed. Finish: The finish doesn’t disappoint, and brings exactly what you’d expect of a heavily peated whisky. The aftertaste is pleasantly salty, showcasing Jura’s maritime character. Verdict: The ‘profoundly peated’ advertised on the box is no word of a lie. You shouldn’t expect Ardbeggian levels of peat here, but compared to other Juras, Prophecy certainly packs a punch. I suspect this dram is quite a young Jura, but that youthfulness doesn’t for one moment distract from the fact that Prophecy is an extremely engaging, complex whisky. With Jura completely overhauling its range in early 2018, you don’t have to be a prophet to see that Prophecy will become a scarce commodity in the future. Be sure to snap one up while you still can, I for one will miss this whisky! Jura at its most maritime, with the distillery as the perfect backdrop to Jura’s seafront. That’s a good one. To be honest, I will be missing the old Jura range (with the Diurach’s Own being the expression whose discontinuation saddens me the most). Still, I am open to try their new whiskies and I’m sure there’s gonna be some real jewels among them, too.